17 April 15. Having set the alarm for some time in the middle of the night we uncurl ourselves from deep sleep, and moan and groan our way out of bed well before sunrise. We quickly wash, dress, and make tea. Hot sweet tea first thing in the morning seems to ignite me for the day; without it I can never quite get going. 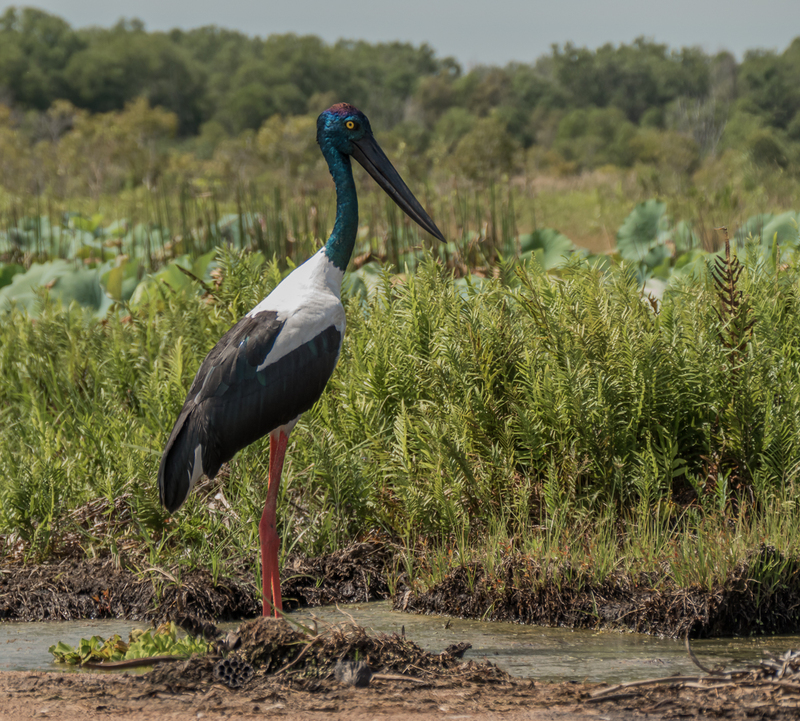 We head out from our campground cabin near the small town of Jabiru in Kakadu National Park in Australia’s Northern Territory, and drive for about forty-five minutes to Cooinda Lodge. 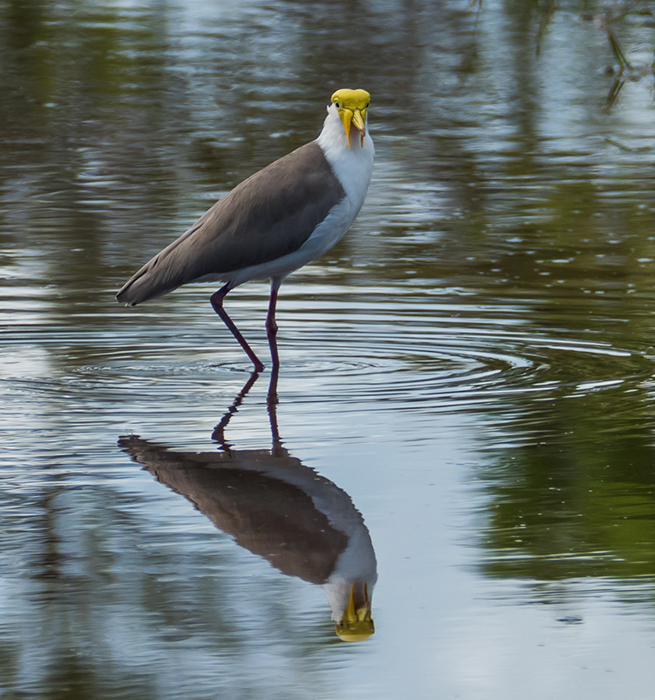 Cooinda is the meeting-point to join the sunrise cruise of Yellow Water. A “high-rise” all-terrain vehicle takes us from the lodge to the water where we board an open-sided boat. I am spellbound by the beauty of the landscape. Yellow Water is a land-locked billabong. 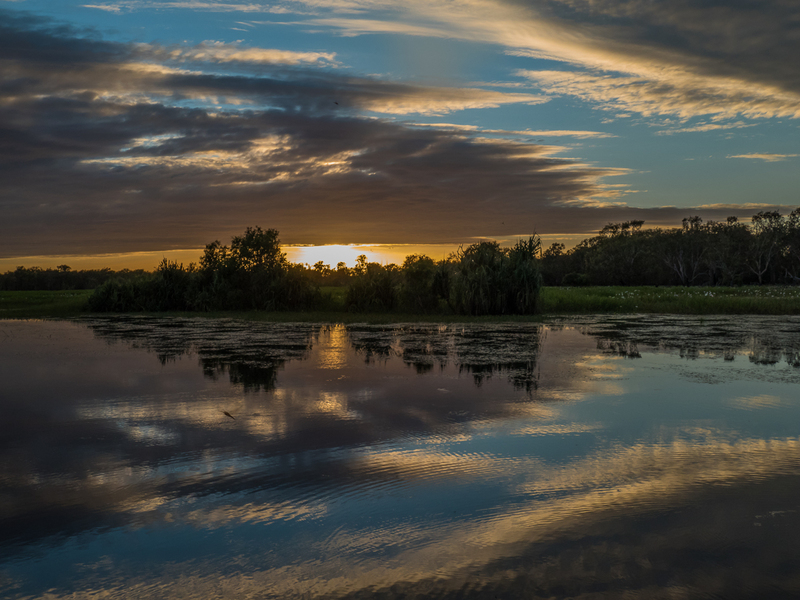 Billabong, of the “jolly swagman” fame (so jolly he committed suicide rather than be caught for sheep stealing), is an Australian aboriginal word for a branch of a river that is a backwater or stagnant pool. 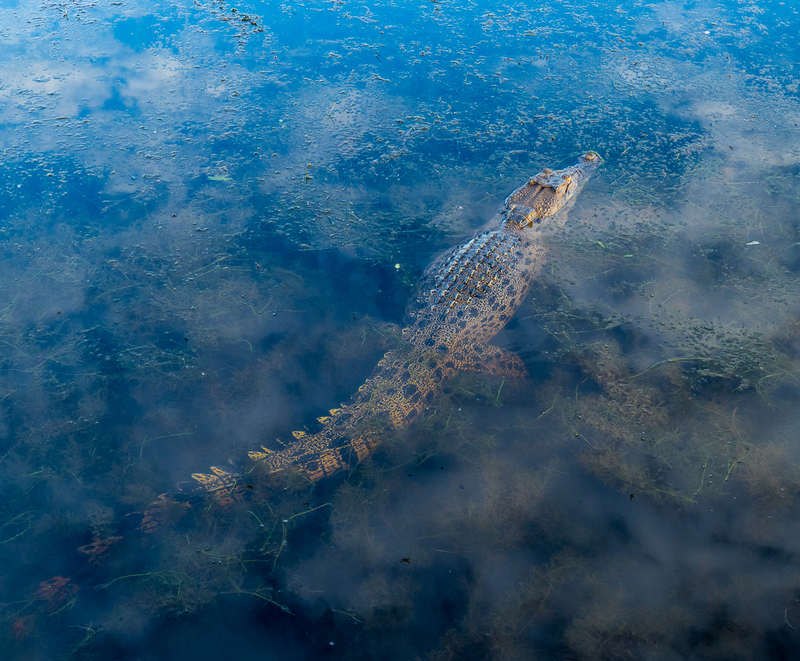 Yellow Water, a backwater of the South Alligator River, is no pool. 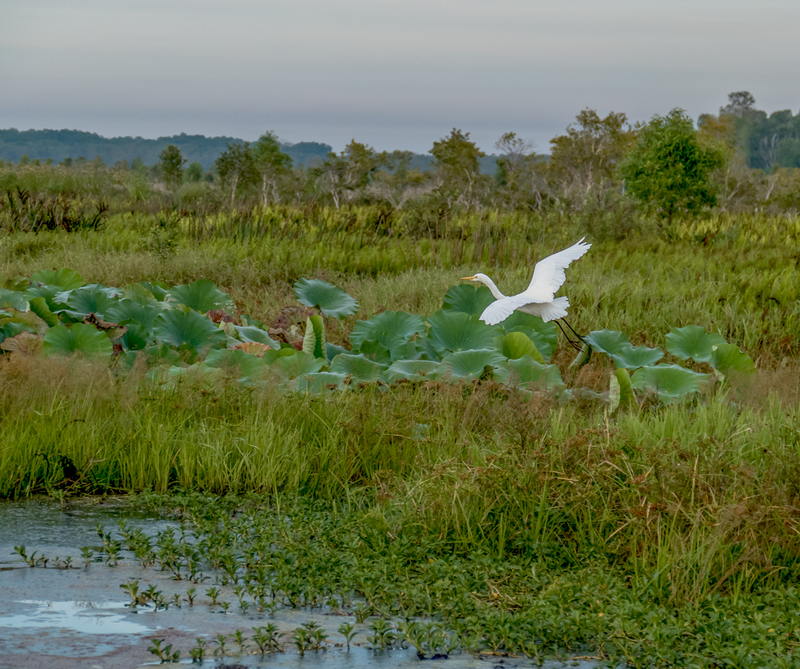 At the end of the wet season it is huge, and teeming with wildlife. 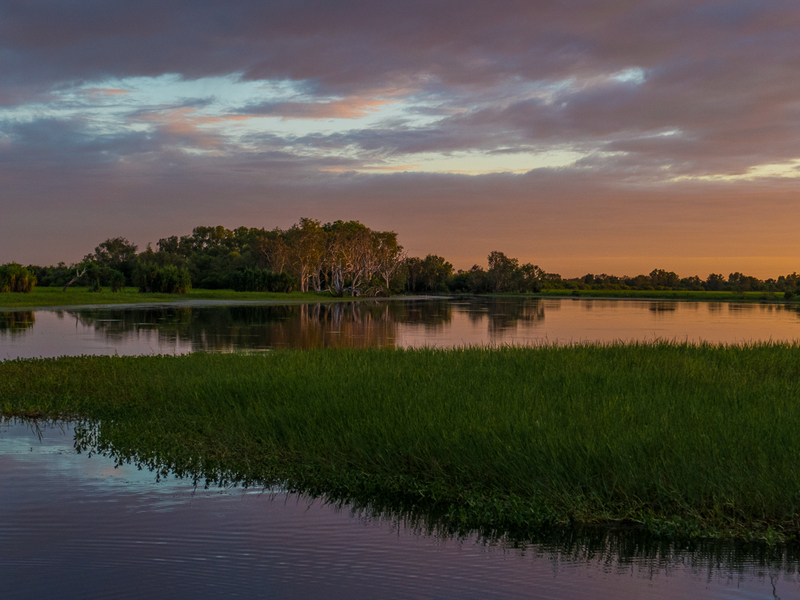 Situated near the centre of Kakadu, it is home to plentiful fish and crocodiles, and its shores are home to wild buffalo and brumbies. Brumbies are wild feral horses. Perhaps the name came from the horses abandoned in 1804 by Sergeant James Brumby when he left New South Wales for Tasmania, or perhaps the name came from the Pitjara Aboriginal word baroomby, meaning wild. Either way it is uniquely Australian. and their chicks. Look at the size of their feet! Large enough to walk on water. 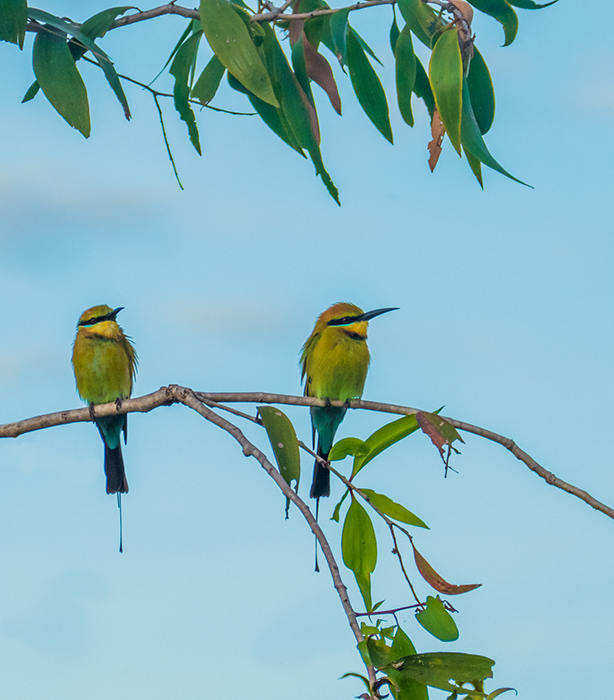 We see several rainbow bee-eaters, all green and golden and a flash of aqua shining in the morning sun. 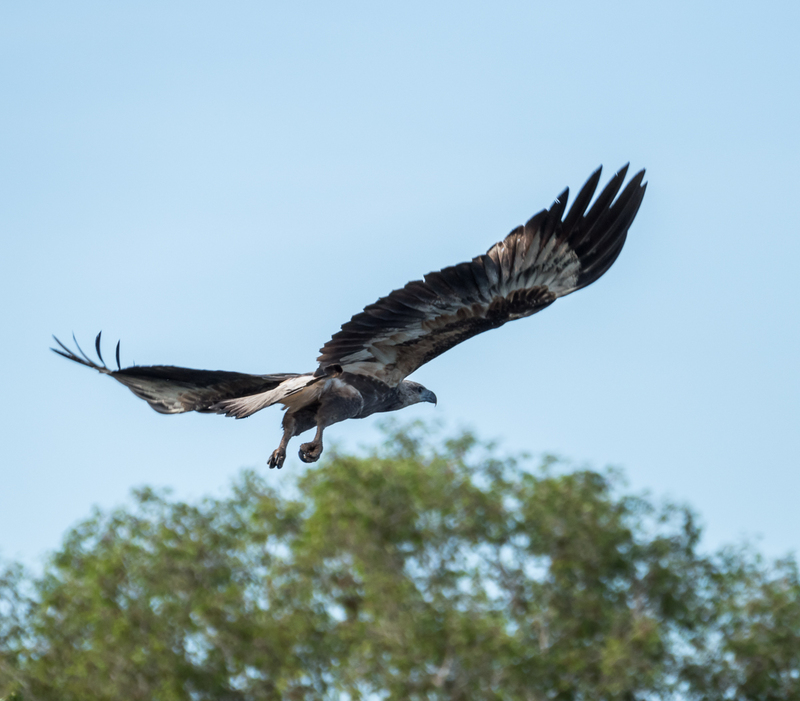 We see a white-breasted eagle, and later, a sea eagle, formidable and majestic birds, rulers of the sky. or gliding silently through the water. 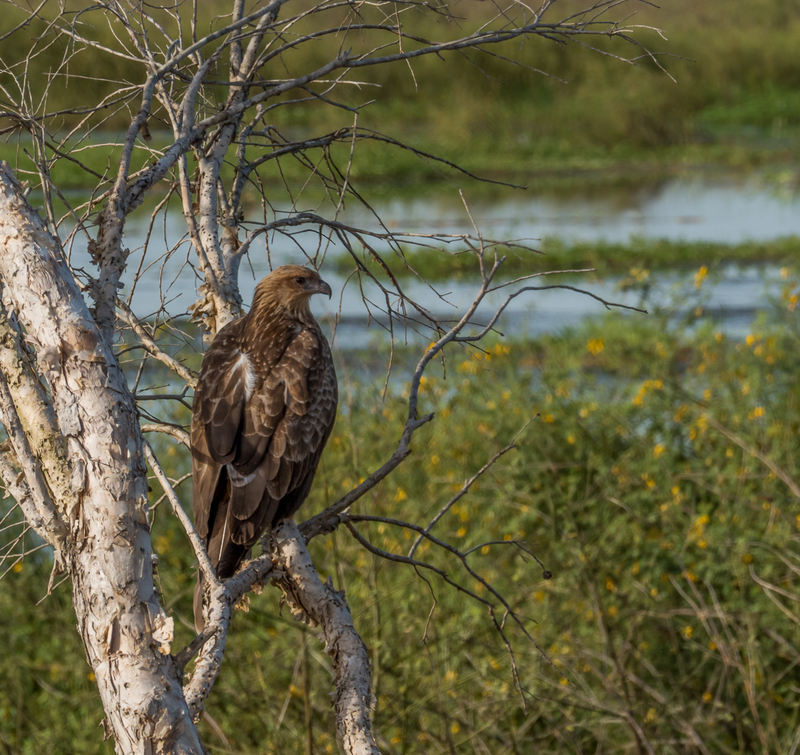 We see jabirus, magpie geese, a rufus night heron, a crimson finch, a darter, a great egret, a cormorant, terns, a whistling kite, a forest kingfisher, and one lone buffalo hiding under a tree. 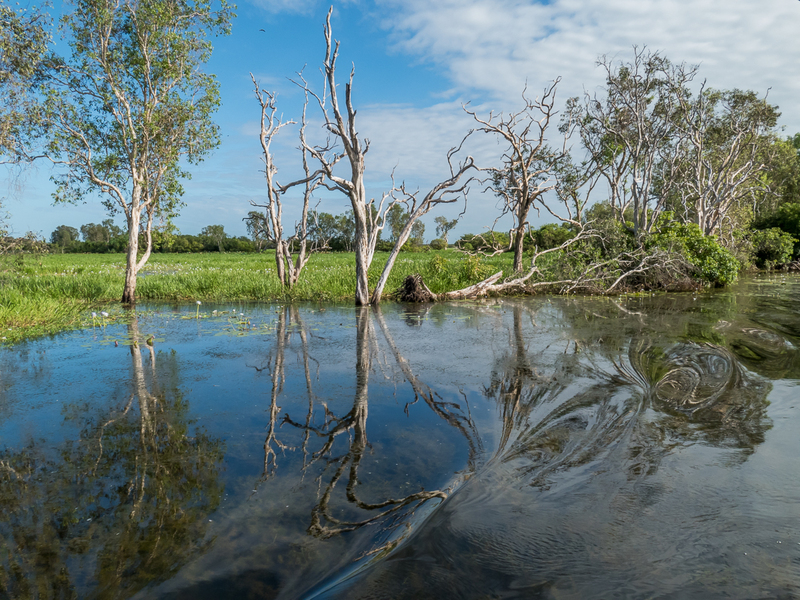 Our time at Yellow Water is wonderful: the early morning light, the birds, the clear water, the almost hidden buffalo, the stealthy crocodiles, the silence. It’s magical. Then we discover Fogg Dam! 27 April 15. 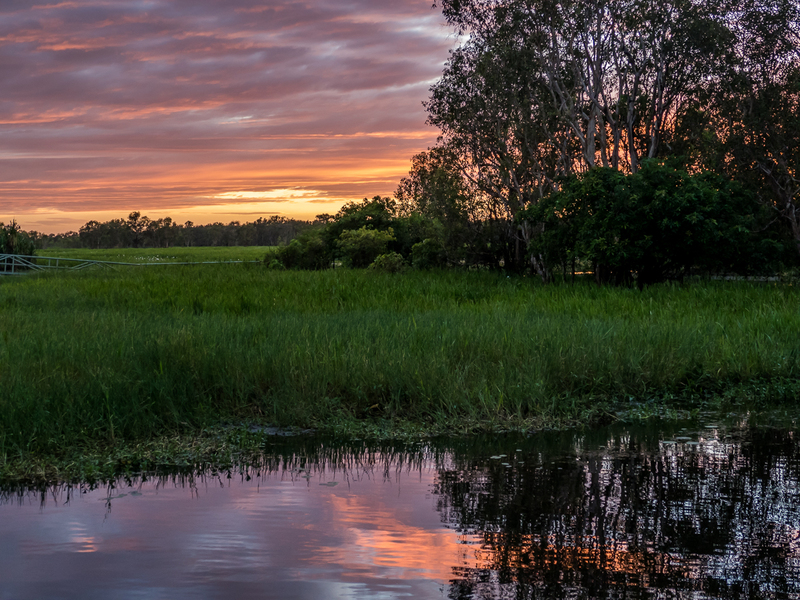 Fogg Dam Conservation Reserve is a little less than half way between Darwin and the western boundary of Kakadu National Park. The dam was created in 1956 to collect water for the failed Humpty Doo Rice Project. The failure was largely due to either too much, or not enough water. Although the Aboriginal people, who are closely attuned to the land, identify six separate seasons in the northern part of the country, the simpler separation is between two seasons – the wet and the dry. 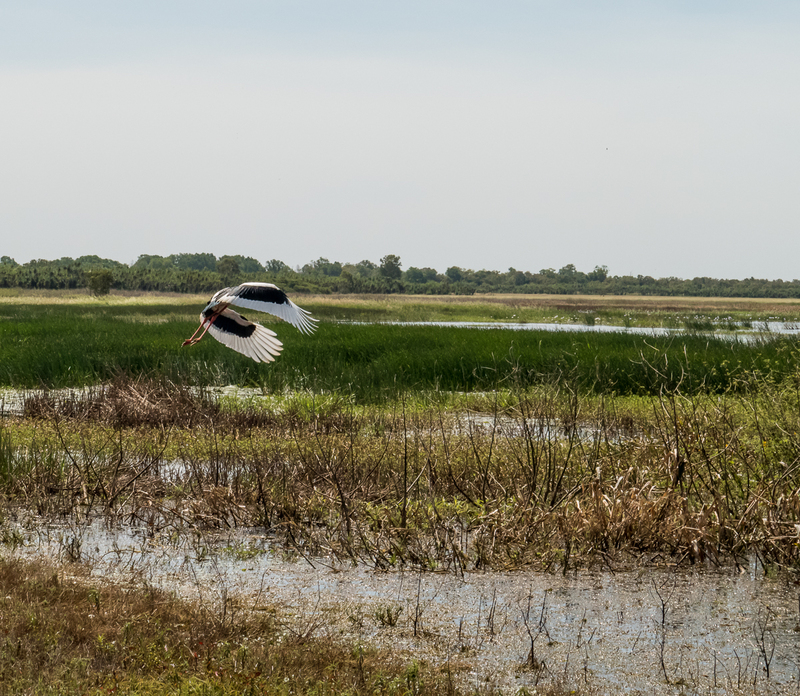 Growing rice requires something a little more consistent, but the creation of the dam has given access to the vast wetlands without in any way harming it. Bird life is abundant, and it has one of the largest populations of snakes in Australia, although we didn’t see any. Not at Fogg Dam anyway. 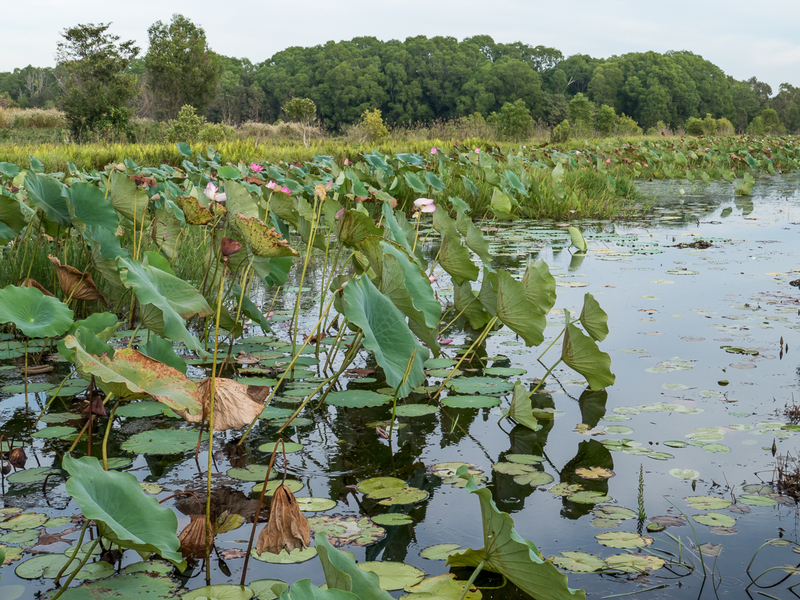 We are alone, driving along the narrow, single-lane road surrounded on either side by water crowded with lily pads, lotus, and grasses. The road is actually the dam wall though it is hardly higher than the water that surrounds it. We drive slowly, watching on all sides. Suddenly I see it. 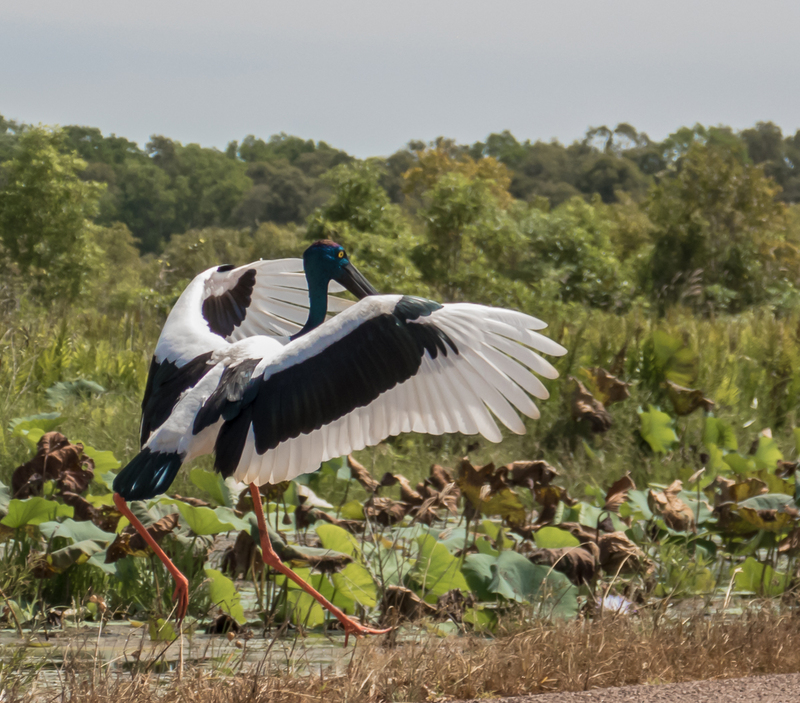 An adult female jabiru in the water right next to the road! We can hardly believe our luck. We stop the car and manage to get out without disturbing it. It feels like we have hours to watch it although it is probably only minutes. Jabirus are actually storks found in the Americas. 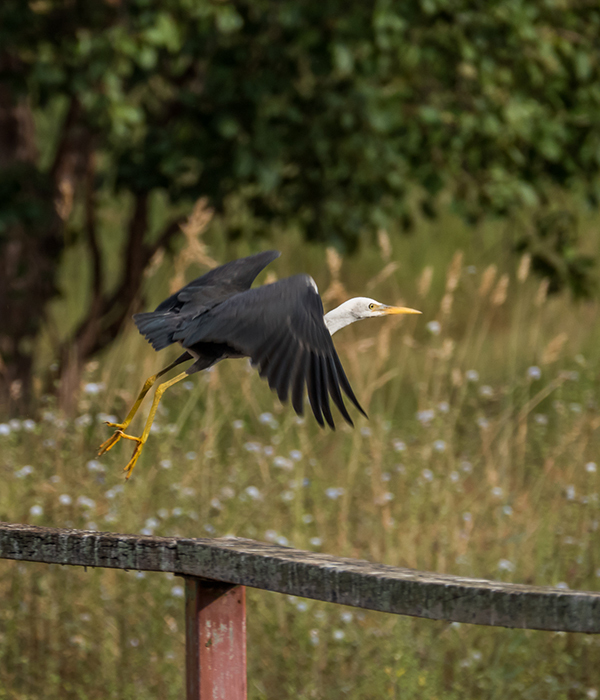 The birds found in Australia and Southeast Asia, although commonly known in Australia as Jabirus, are more correctly called black-necked storks. They grow to be about five feet tall with a wingspan of nearly eight feet. The females can be distinguished by their yellow-rimmed eyes. Eventually it becomes aware of us, and flies away. As I watch it lift off on huge powerful wings at close range my eyes follow it into the sky. It is a special moment; to hear the sound of it’s wings, to feel the power, to see the controlled, regal grace as it rises higher and higher. 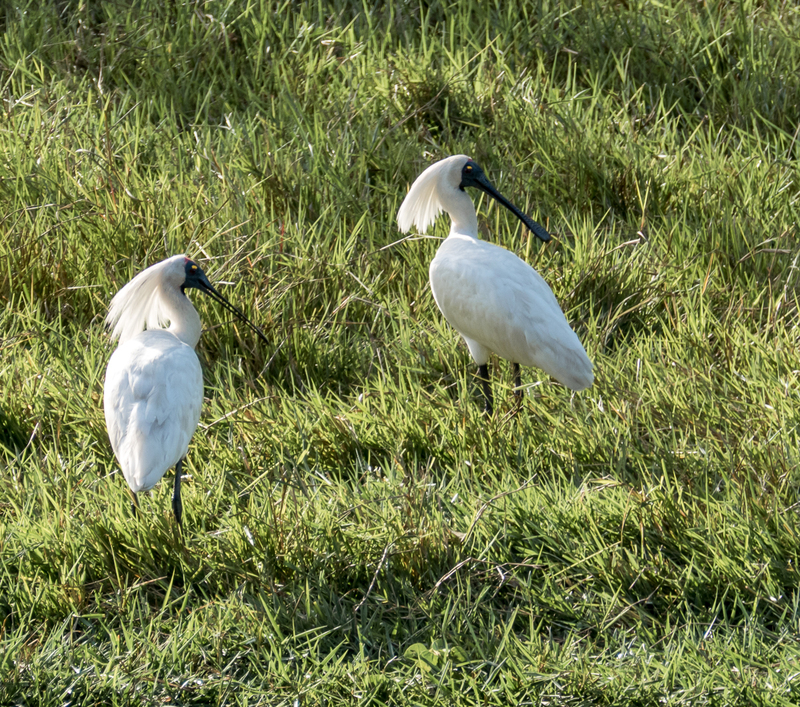 Looking around I immediately see a male jabiru in the water on the other side of the dam wall. We watch it for a while then it too flies away across the vast wetlands, the flood plains of the Adelaide and Mary Rivers. There are a great variety of birds all around us, and the further we go the more we see. Eventually we get to the end of the road and park the car. There are boardwalks for longer walks through the wetlands but we are cautious and choose not to walk along them. 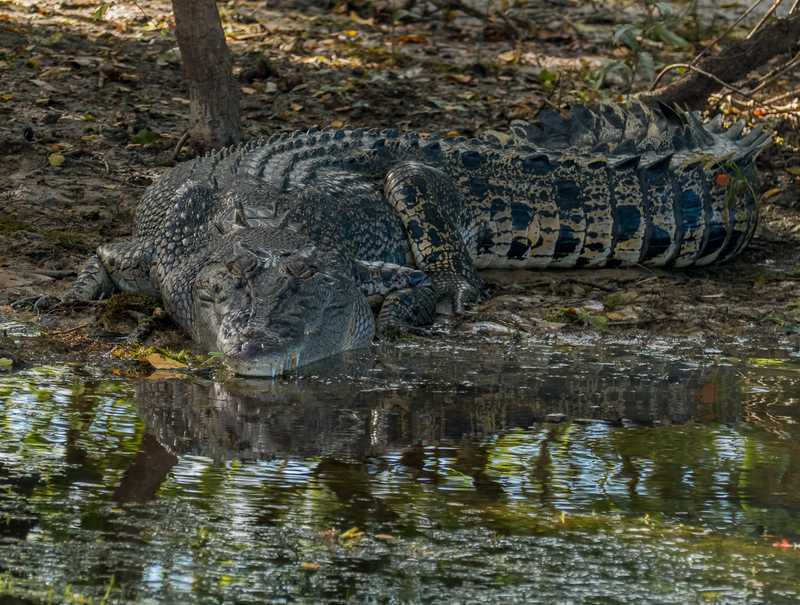 It is the end of the wet season and the land is flooded with water, which means it is also probably full of crocodiles. Not wanting to be croc dinner we content ourselves with what we can see from either side of the road and the small paved area at the end. 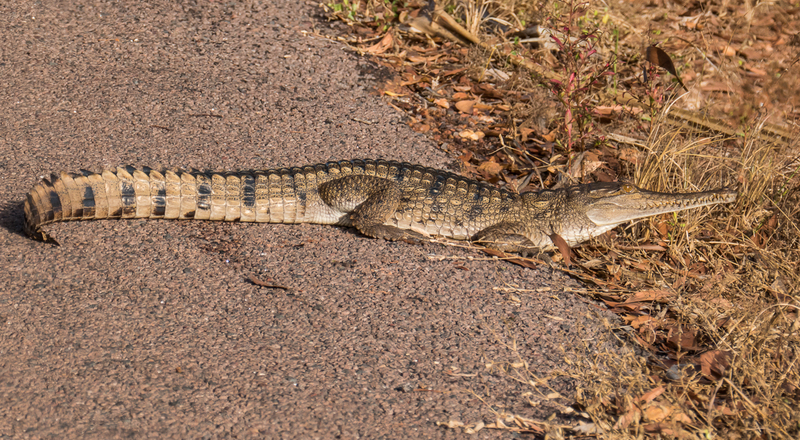 What we see is plenty, including a baby crocodile about fourteen inches long. 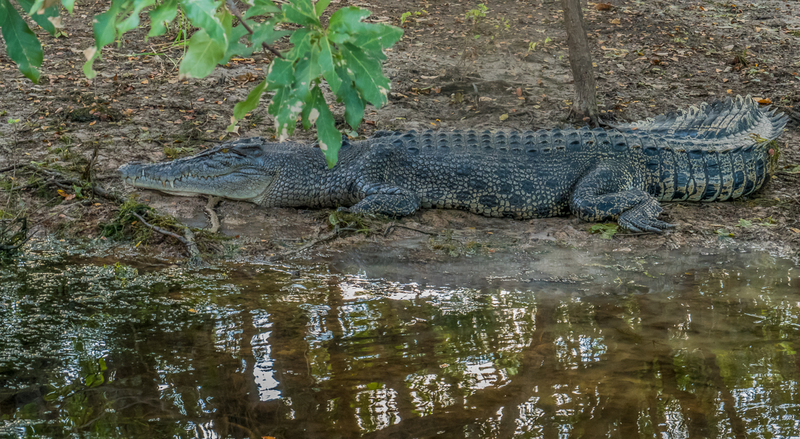 Not big enough to make a meal out of us, but it is enough to indicate the presence of crocs in the area. I should have photographed it next to Don’s foot for size comparison, but Don wasn’t putting his feet anywhere near it. We are excited by the discovery of Fogg Dam. 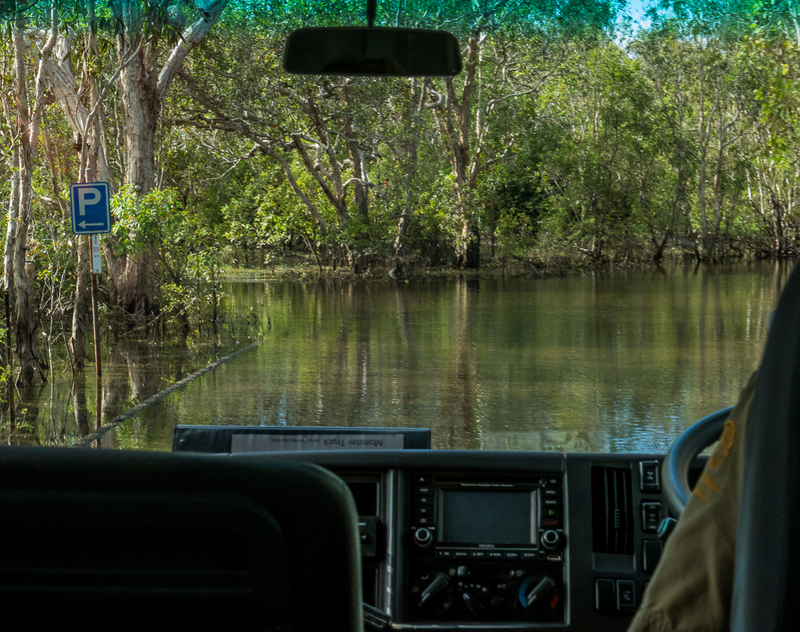 By this time we’ve already spent ten days exploring three of the great national parks of the “Top End”, and Fogg Dam is an afterthought. We have a little extra time so decide to go there on the way to a cruise on the Adelaide River. 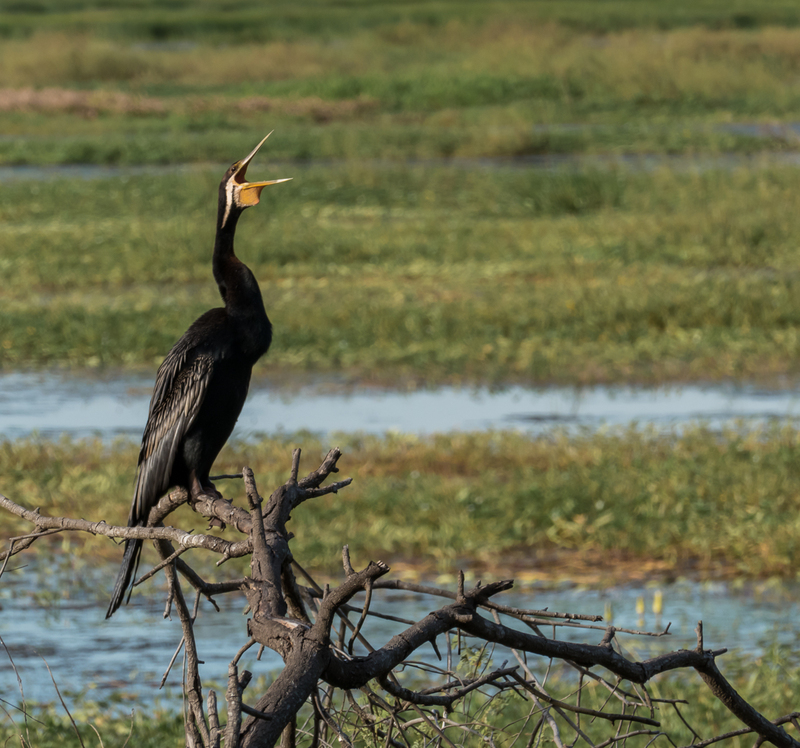 We are both astonished and thrilled by the abundance of birdlife to be seen at close range – a smorgasbord of natural beauty spread out before us. And we are all alone in this magical land. And quick, look! Over there in the grass! 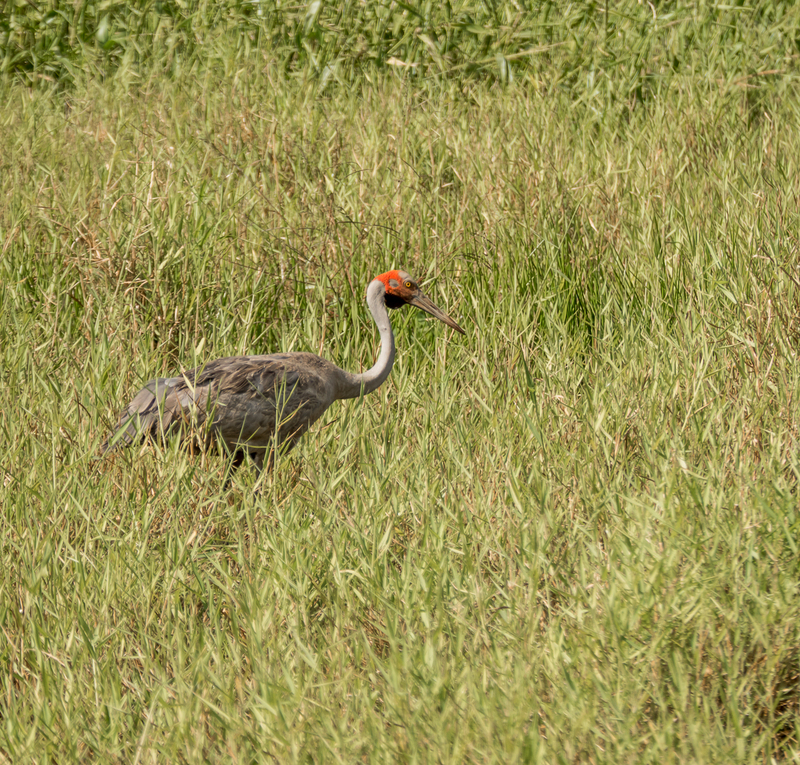 A brolga! and the last one to leave. and one with a snack. For nature-lovers like us Fogg Dam is a fantastic unexpected feast. Nature’s variety astonishes me. All these birds. All so different. What a gift to have discovered this little-visited area. And to have it all to ourselves. Still to come: Aboriginal dreamtime art twenty-thousand years old, anthills as high as a house, isolated plunge pools, road trains, trees full of bats, pythons, hot-water rivers, kangaroos, and even more exotic birds. What a collection of exotic birds, some of which I have never heard of. Many of them we’d never heard of either. We were really amazed by it all. Just what I was thinking! Beautiful colours captured in the photos too! Thanks so much Adam. Australia’s Top End was an amazing experience. Thanks Harlon. It was so much fun! We were so excited. Everywhere we looked there was more to see, and the guide on the Yellow Water cruise was an expert at spotting the birds. Absolutely fabulous photos and story, Alison. During the period 1984-87 when we lived in Darwin, we used to take our Visitors for a picnic breakfast down to Fogg Dam. They’d grizzle about the early start but be blown away at the bird life. It was all very under developed for tourists in those days and I well remember the giant mosquitos. But all like nothing else we’d seen. Totally unique. You’ve brought it all to life with your stunning photos. As always, thanks again. Thanks so much Ros. Fogg Dam early morning is amazing. I can imagine all your guests were glad you dragged them out of bed so early once they got there. It certainly is totally unique. When we were there there were no mosquitoes! Wow! Breathtaking. 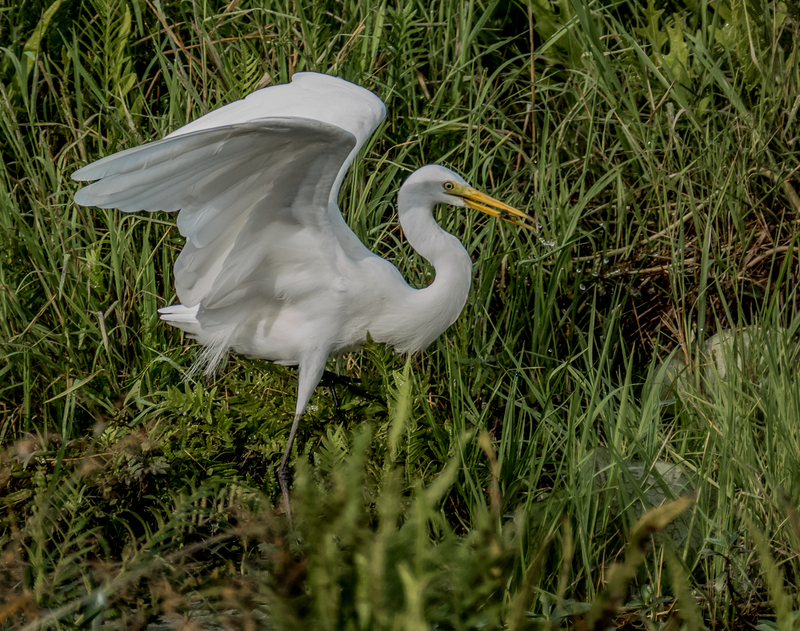 You captured the birds beautifully–and their scaly neighbors are mesmerizing. This is now on my map of places to see. Thank you so much. The Northern Territory is a very special place. We also went to Nitmiluk (Katherine Gorge) and Litchfield National Park which I’ll cover in future posts. It should definitely be on your list! Fantastic! 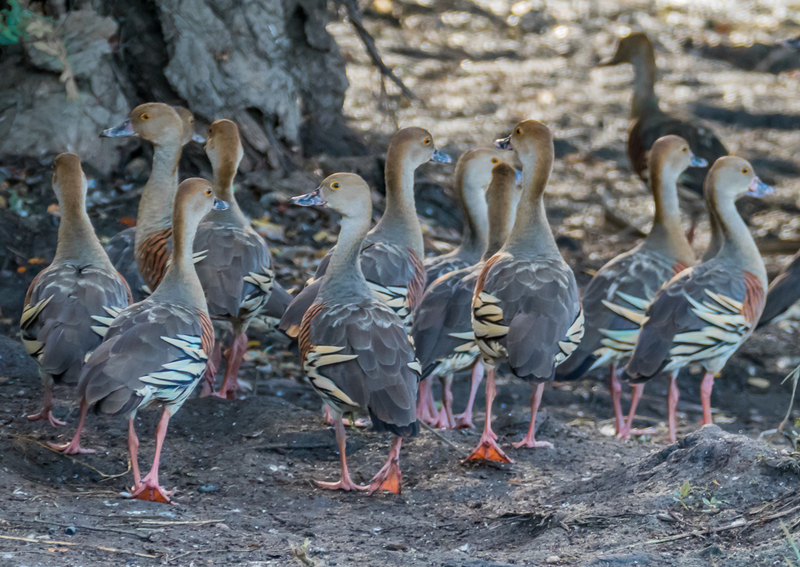 The birds remind me of many I saw in Africa, but with their own special Australian frippery. the Top End is really special. Definitely worth seeing. 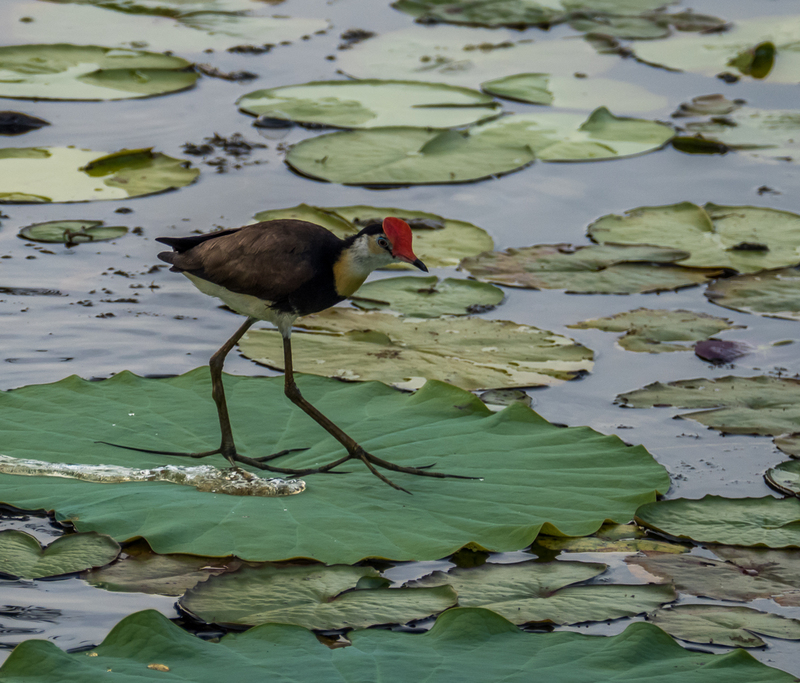 While all of these photos made my mouth gape open in awe, the comb-crested jacana on the lilypads simply took my breath away! Even I would get up at the crack of dawn for those birds and views! Stunning. Thank you so much. 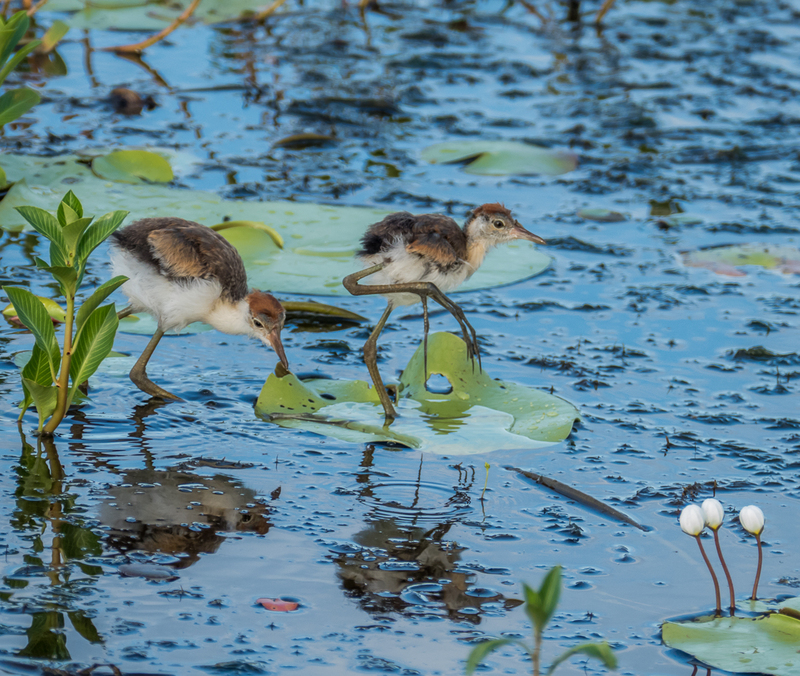 We loved the jacanas too. Especially the chicks. Their feet! Both places definitely are worth getting up early for. We were mesmerised and excited at the same time! 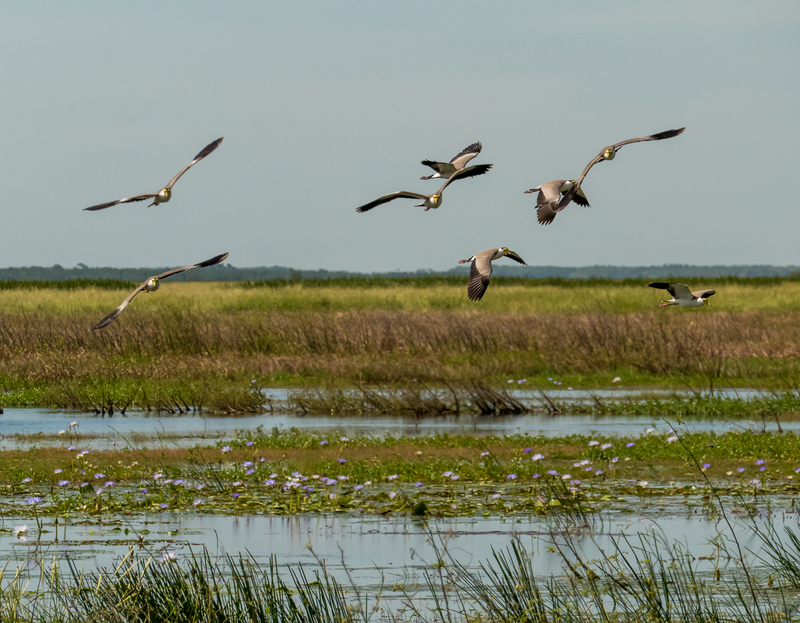 such a rich and beautiful diversity of birds in this ecosystem! thank you for telling such a great story in this post! Thank you, and you’re welcome! We were completely amazed by the variety and number of birds. Such abundance and beauty. Those dawn photos are simply stunning Alison and what clear and beautiful photos of the magnificent variety of birds. Any one looking at this post must surely want to visit the magic of the Top End. Thanks so much pommepal. We were completely entranced, by the birds, and by the beauty all around us. Everyone should visit the Top End! I’m lucky enough to have been twice but I would love to visit in their wet season. Thanks Curt. Aren’t those lapwings weird?! Truly unusual. Too bad you can’t see all the photos. I know from past experience satellite internet can be slow. Thanks Hedy. We were so excited to see all these amazing birds. So glad you got the feeling of being there. It’s a really special place. Such phenomenal photography. Patience and a bunch of skill, I imagine. Just another set of lovely photographs. 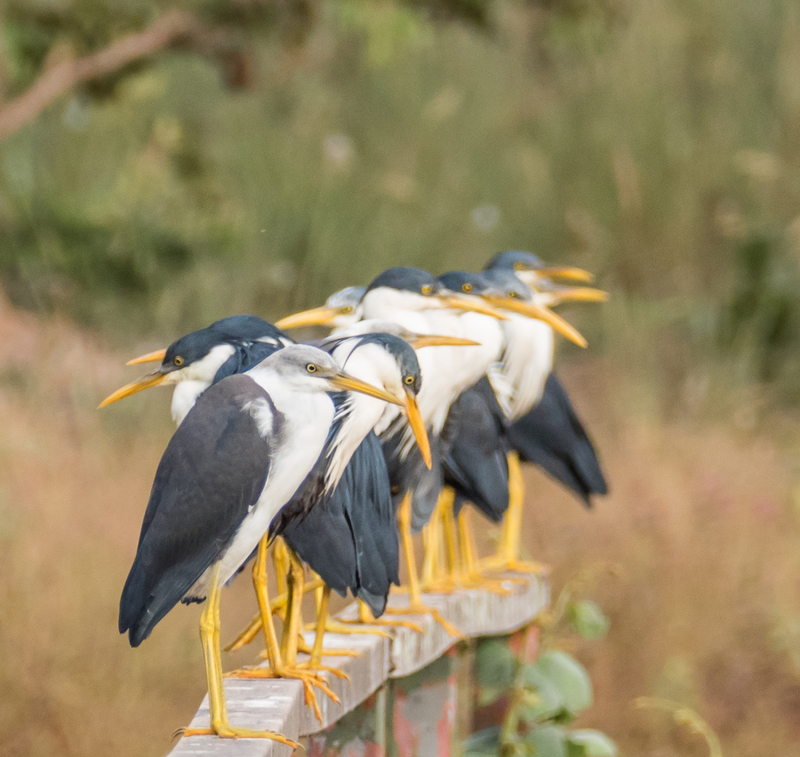 I think I like the one with the line-up pied herons most…strictly artistically speaking. That brolga is one coyote-ugly bird. 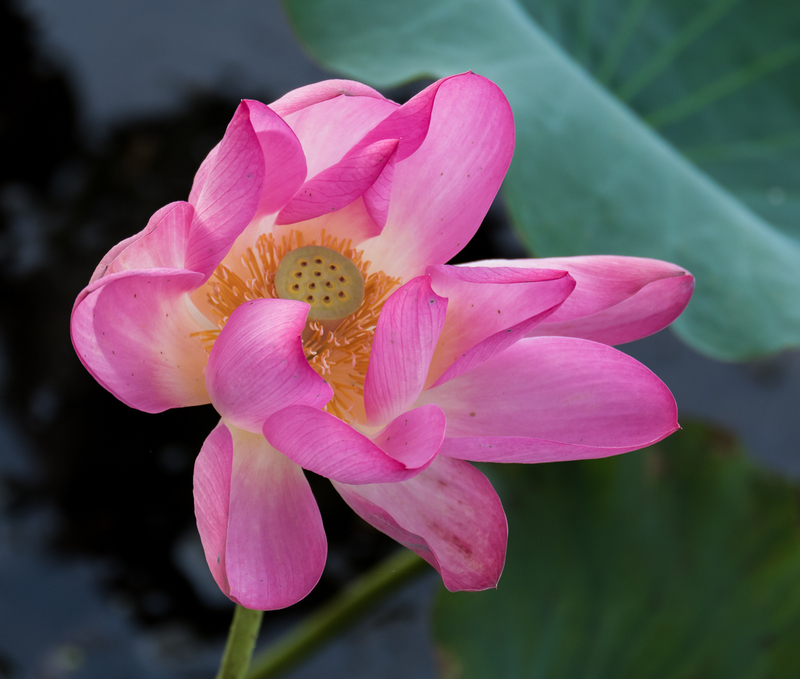 Your lily looks a lot like the lily in my latest post…I guess lilies look the same everywhere? They’re nice in a pond, but it is rather cool to see them growing wild along the river. Crocodiles are scary, that second shot of croc is real scary. Makes me want to return to Oz. Brolgas…yeah, it’s just that red stuff on their faces that gets me! Can’t wait for the croc stories. I have spent time the top end a couple times, love it there. But yeah, maybe it’s time to return. Beautiful! The promise of even more exotic birds is intriguing! Thanks for the article so I could be in Australia for a short while. Interesting: “Brumbies are wild feral horses. Perhaps the name came from the horses abandoned in 1804 by Sergeant James Brumby when he left New South Wales for Tasmania, or perhaps the name came from the Pitjara Aboriginal word baroomby, meaning wild. 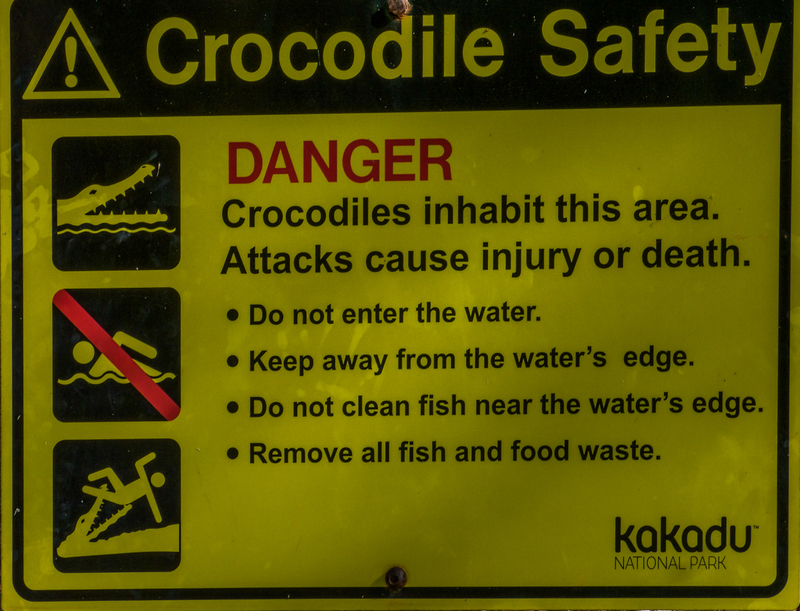 Either way it is uniquely Australian.” I’m glad that Don didn’t put his foot near the baby croc. What a baby! I’m referring to the crock (and/or myself)! That cute baby thing with scales and teeth is still scary! The two of you are inspiring courage – very much enjoying your adventures and photography! Thanks Ka, it was a fabulously exotic place to be, even for me a born Aussie. I’ve known about brumbies all my life but never knew where the word came from so it was interesting to find out. It wasn’t the baby croc that was scary so much as where was its mother?! Though the baby could probably rip a good hole in your shoe. Interesting to learn more about you, Alison 🙂 Thank you for adding more here in your reply. Yes, mama/baby are always instinctually connected. I had no idea about all these different birds. Reading this piece, and seeing those pictures, I felt like… have I even been paying attention on this planet!? How do you even know all their names? Do you know them in advance, or take the photos and ask questions later? I’ve got that guilty feeling like there’s a pop quiz coming up. Ha! Yes, I’ve been paying attention. Always one eye peeled for the croc’s. Chuckle chuckle chuckle. You do make us laugh Michael. 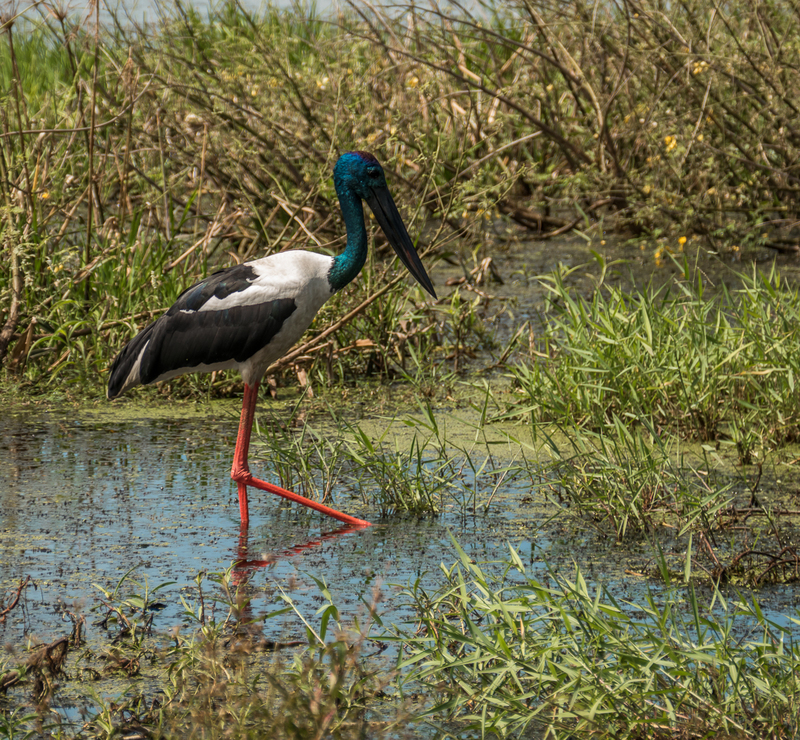 I do agree that whoever named the black-necked stork has vision problems and I much prefer the hijacked name of jabiru. I’ve seen brumbies, out in the bush in the southern part of Australia, back in my youth. I never knew where the name came from until this trip up north. I guess I just took it for granted that wild horses are called brumbies. 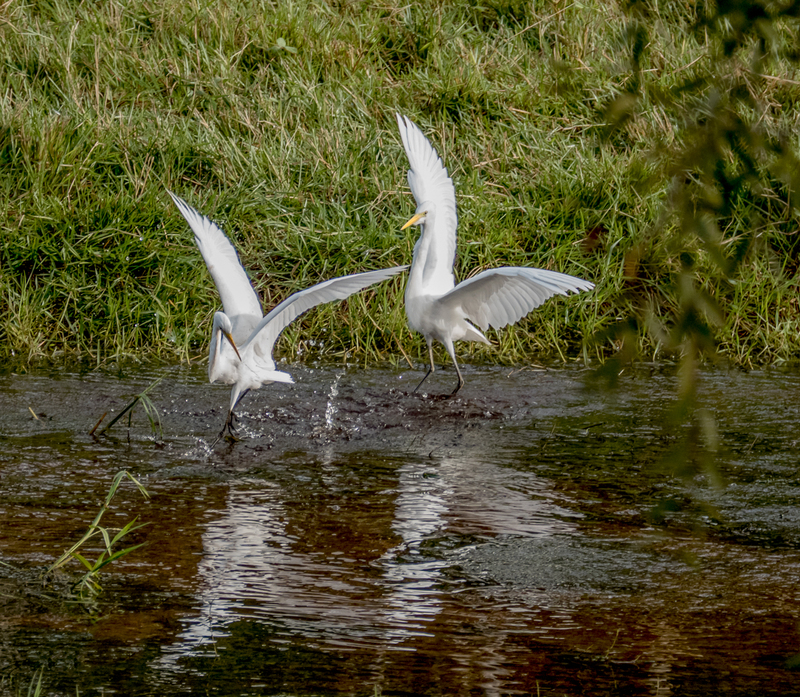 As for the names of the birds, some I knew (egrets, darters, spoonbills, eagles and brolgas – though not the specific type), because I have an interest in wild things. The rest I learned from the tour guide on the Yellow Water cruise or from the wonders of google images after the fact. And yes there’s going to be a quiz next period! The pictures of sunrise over Yellow River are so stunning that they’re hard to look at. Your photos of the birds are extraordinary, but for some reason it’s the deep colors of the sunrise that really get to me, in a way that other pictures just don’t. 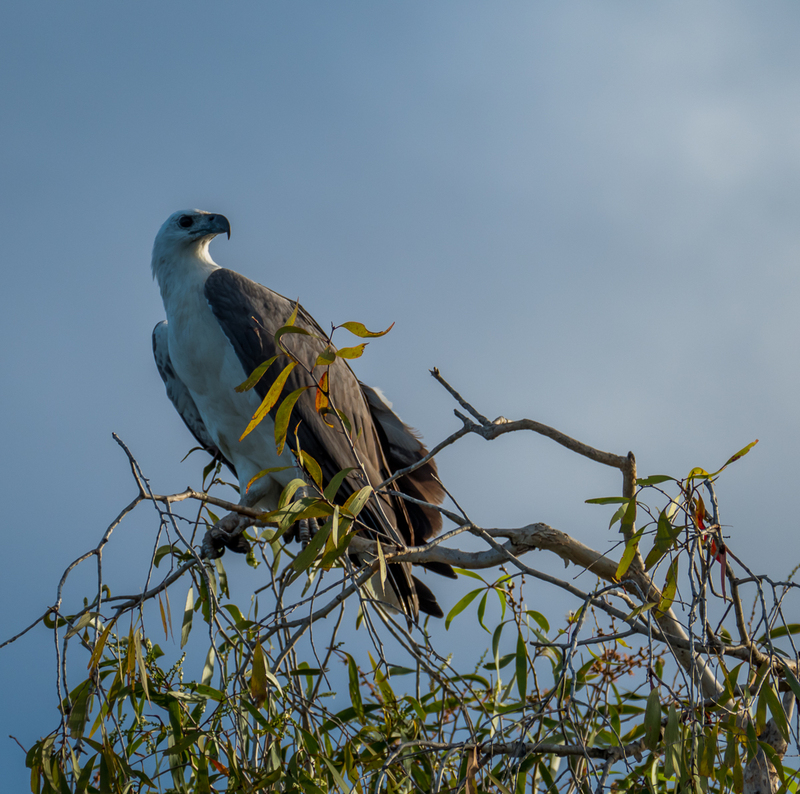 Nevertheless, I’ve learned more about Australian birds in this post than I ever have before! Thanks so much Felicity. I loved being there at sunrise, and being able to capture it on the water – so beautiful, and definitely worth getting up early for. Aussie birds are fabulous! Amazing variety, and many are really exotic. Some of the earlier posts have photos of some of the many varieties of parrots. All the wildlife there is pretty exotic. Thanks so much Anita. I was so happy to be at Yellow Water for sunrise – such exquisite beauty. You must get yourself to Australia – it’s an amazing country. Great Barrier Reef, Uluru and Kata Djuta, the Top End should be on everyone’s list. Plus some great cities, amazing wildlife, and endless fabulous beaches. Och my trying to be a vegetarian worries are playing up real hard now. Gorgeous creatures! I think it must have smelled real nice too. Like outside and freedom. Thanks M, yes, gorgeous creatures. It smelled beautiful. I’m glad it warmed your day a little. Awwww…..you guys are amazing. Loving the oustanding photos and all the info in the blog. Feeling a bit embarrassed about being Australian and how little of Australia I have seen. Living it all vicariously through you. Sending love and enjoying you from afar. Thanks so much Jo. I was so excited by this photographic experience, and even more by just being there, watching it all. An amazing place! Wow!! What a amazing collection of those birds. Great work!!! Thank you so much. We loved the wildlife there, especially the birds. And there were so many of them! Yes it is! And it’s so big that there are many different environments. We’re so glad we went to the far north. Brumbies!! I love Austrailian words, they are too fun. Isn’t that a great word?! I was delighted to find out where it came from.